You’re getting married!! This is one of the most exciting times in your life and I know you have a lot of questions. Included below is information on my rates, as well as some of the questions that I’m most frequently asked by brides. While I look forward to speaking with all prospective clients in person, I’ve found that it is helpful to give brides an overview in writing first, so that you know what to expect. What are your Wedding Makeup Rates? I require a 6 person minimum (including the bride), and the rate is $1,400.00 The rate includes: $650 for the bride(including two consultations), $150 per attendant, mother-of-bride or other relative, and $150 for each additional makeup after meeting the minimum rate. My fee includes 2 consultations with the bride and I do not charge an on-location fee, however, travel fee applies. A 50% non-refundable deposit is required at time of booking to reserve your date, and that amount is applied to your total invoice. I charge $150/hour for optional pre and post ceremony touch-ups. Can you accommodate large wedding parties? Yes, for wedding parties over 6 people (including the bride), I will bring an assistant. I have several assistant makeup artists that train and work with me. My assistants prep and help with finishing touches. There may be an additional fee, depending on the size of the wedding party and how many assistants I need. What are your makeup rates for other wedding-related occasions? for on-location application, and my hourly rate for touch ups is $100. Bridal Consultation – $250 which is applied towards your deposit, if booked. Do you ever negotiate on your rates? consultations immediately, as I realize many things can change throughout the planning process. A non-refundable deposit is required to book your date, and the balance of your invoice is due one month prior to the event. I accept cash or check payments. Do you charge an additional rate for travel? For weddings within the Greater Boston area I do not charge a fee, but do expect to be reimbursed for hotel parking. For weddings outside of Boston, my travel fee is based on mileage and/or whether or not I need to book a hotel room for early morning or late evening makeup application. 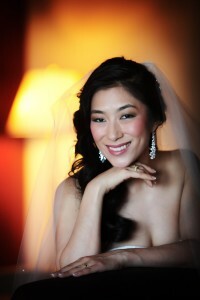 Yes, I’ve done makeup for brides in various destination wedding locations. My fees vary, depending on the location and time of year. Can I get a bridal consultation first before I commit? You may, although the fee is $250. If you decide to book my services, the $200.00 will be applied to the deposit. As described directly above, the 2nd consultation can be scheduled for a time closer to the wedding date. How soon before the wedding should I come in for my consultations? The first consultation can be done as soon as you prefer. Many of my clients book their first consultation early on because it is one of the most fun aspects of being a bride – experimenting with various makeup styles to figure out a fabulous “look”. I suggest, based on my years of experience, that the second consultation be scheduled a week or two prior to the big day. This is the timeframe when many brides touch up their hair color/tone, and/or get spray tanned, which may require small tweaks in your wedding makeup look. Another benefit of scheduling the 2nd consultation closer to your wedding day is to take advantage of seasonal palettes, which many leading makeup lines offer throughout the year. Can I use my consultation for my engagement photo or rehearsal dinner? No, makeup application for a wedding is different than what you would want for an engagement photo or rehearsal dinner. It’s best to save the “wow” factor for your big day. The scope of my bridal consultations is focused on creating your wedding look. Do I need to have picked out my gown and/or how my hair will be styled before my consultation? No, although feel free to bring pictures/ideas that you’re considering. What lines of makeup products do you use? I use many different lines of makeup and am constantly refreshing my products each season, as new lines are introduced. I only use lines of the highest quality, and I make sure that your look will keep throughout your big day…from the morning through the evening hours. If you have a strong preference for certain makeup products, I will work with you to consolidate those lines with others that I feel will contribute to making your wedding makeup look fabulous. Note, I only use traditional foundation application techniques, not air brushing. Are False Lashes included in your rate for makeup application? Yes. In my opinion that’s part of makeup. I use a wide variety of lashes from individual, partial stripe and full stripes. I only apply the day-to-day type. When should I have brow waxing done before my wedding? take up to a year for brows to fill in. A good rule of thumb is to schedule one waxing appointment each month until the wedding. Oprah and The View. 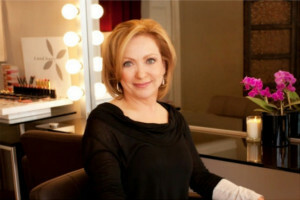 I was also recognized in Allure Magazine’s 2008 and 2009 “The Best of the Best” for eyebrow shaping. I’m happy to take brides on as clients in this regard when my schedule permits. For additional information and/or to book my services, please contact me at (781) 710-6865.